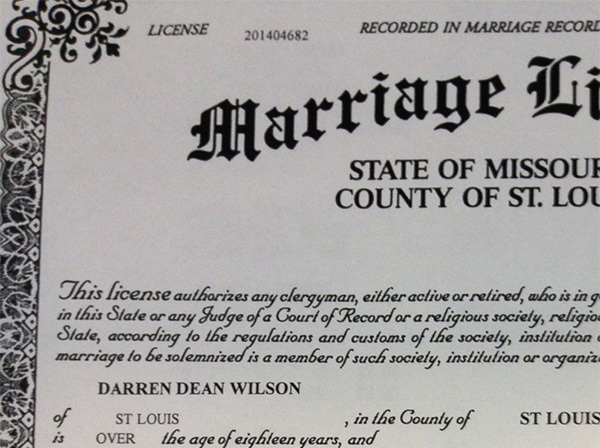 Once You Get Your Marriage License in Missouri? 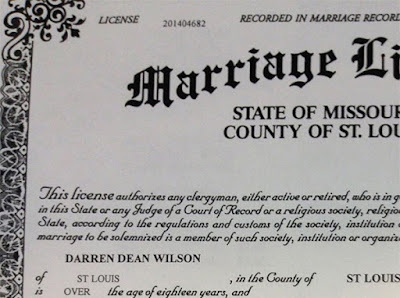 Once your pick up your marriage license from the Recorder of Deeds Office, you must use the license within 30 days. If you do not use the license it must be returned to the Recorder of Deeds Office. In most cases, you must provide at least two witnesses, but you do not need to know them. There are two papers for the Wedding Officiant to fill out : the Marriage License and the Marriage Certificate. 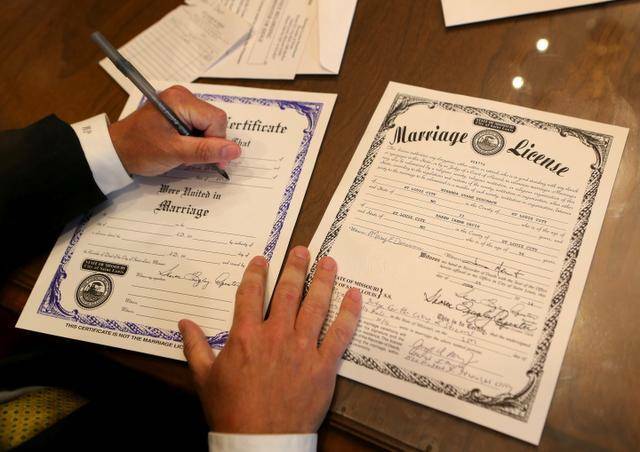 The first paper is the valid marriage license which is the legal document that an officiant fills out before the ceremony with 1) The official name of person who performs the ceremony. 2) City where the wedding takes place. 3) County where the wedding takes place. 4) Day, month and year of wedding. 5) Official signature, title and sometimes their address. The second paper is the invalid marriage certificate that is given to you for keepsake purposes. In most cases, you will not be able to use the certificate for name change, banks, insurance purposes. Check with your travel agent or hotel for its use at your honeymoon destination. 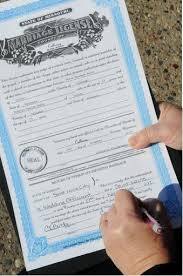 The wedding officiant is responsible for returning the marriage license back to the recorder of deeds. You may not be able to pre-pay for a certified copy. In that case, you or anyone else can come into the marriage license office to get a certified copy. If you are not able to come in to obtain a certified copy you may mail in a request along with the payment amount which costs anywhere between $9-$15 per copy. In the request you will note both of your names before you were married, the date you were married and your telephone number. Include a self-addressed stamped envelope with your payment.